The week culminated in each contestant serving three courses to a group of 12 restaurant critics and a tragic dropped souffle that had been trailed for weeks and was every bit as life-and-death as you would expect from Masterchef (although seriously, Gregg could have given his pud to the critic instead. I’m sure he’s a believer in the 10 second rule, especially where chocolate souffle is concerned). While I’m a big fan of cooking three course meals, I’m glad I’ve only ever done it for my family. However peckish they might be, they have never walked into the kitchen bellowing “Five minutes left!” when I’m getting ready to serve, and their feedback has never reduced me to a sobbing wreck. 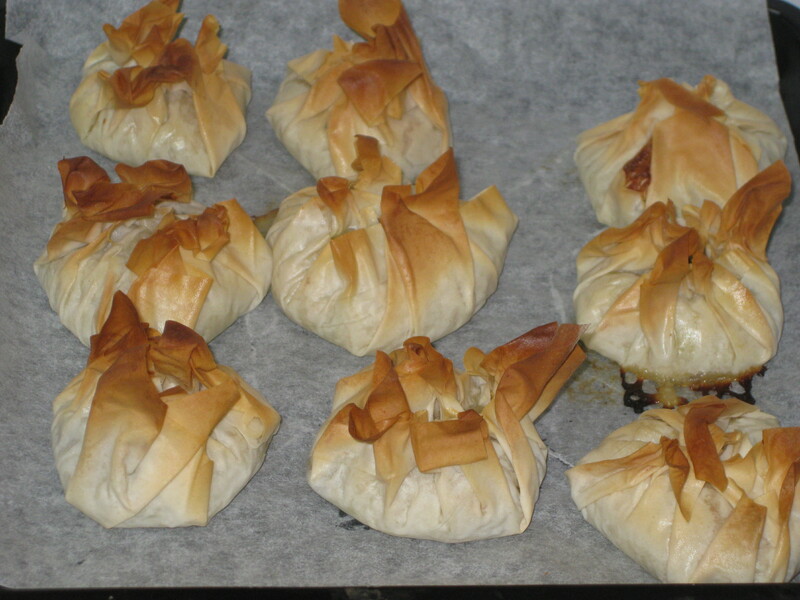 These are one of my favourite starters when I’m on three course duty, though they could also be a nice little party nibble. 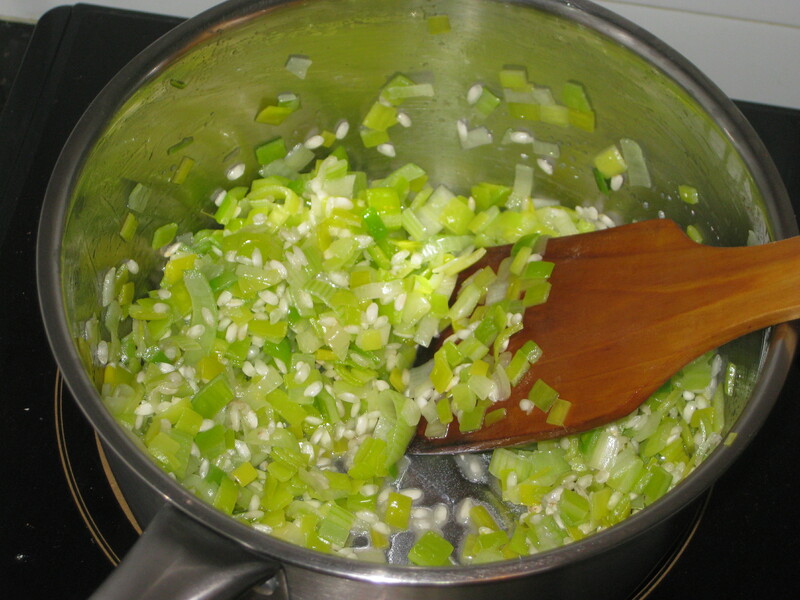 I tend to think of them as very Christmassy on account of the chestnuts, but the leeks and the zingy relish make them welcome at any time of year. 1. Preheat the oven to 200C. 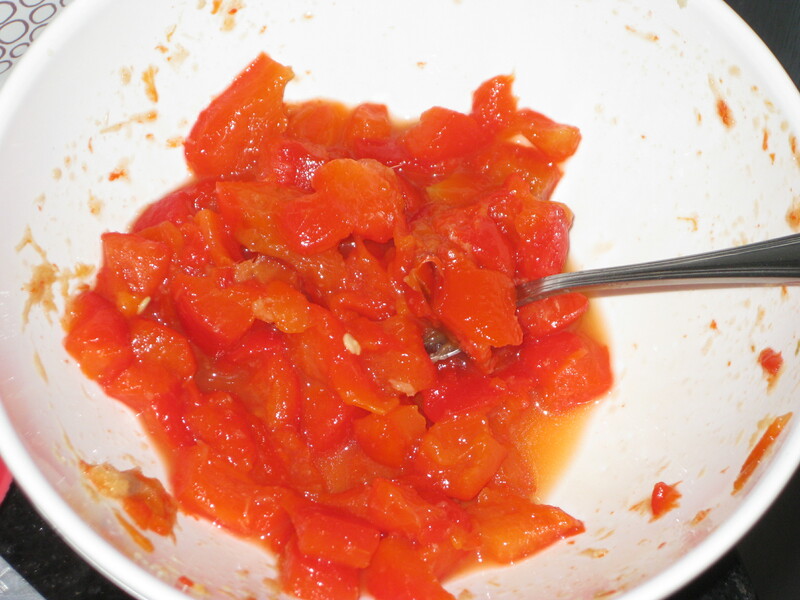 Cut the pepper in half lengthwise, deseed and brush lightly with oil. 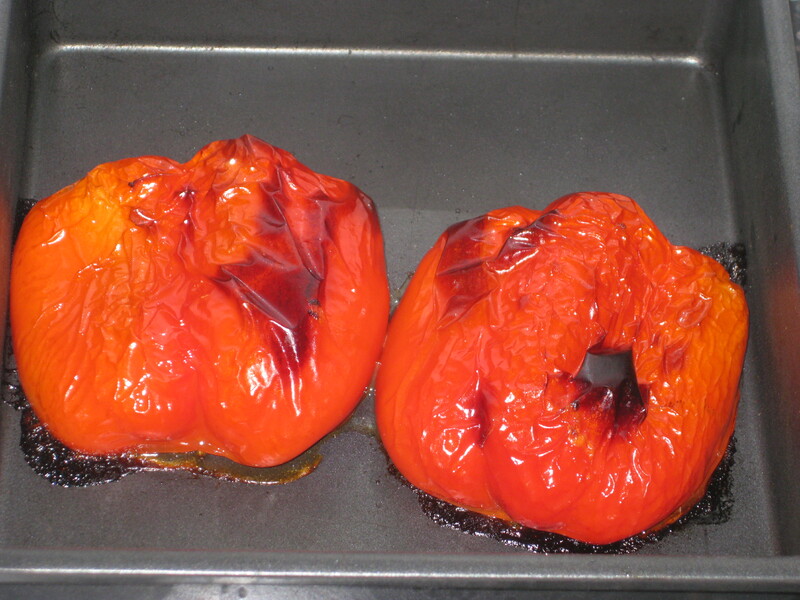 Place in a roasting tin and roast for about 30 minutes, until blackened. Set aside. 2. 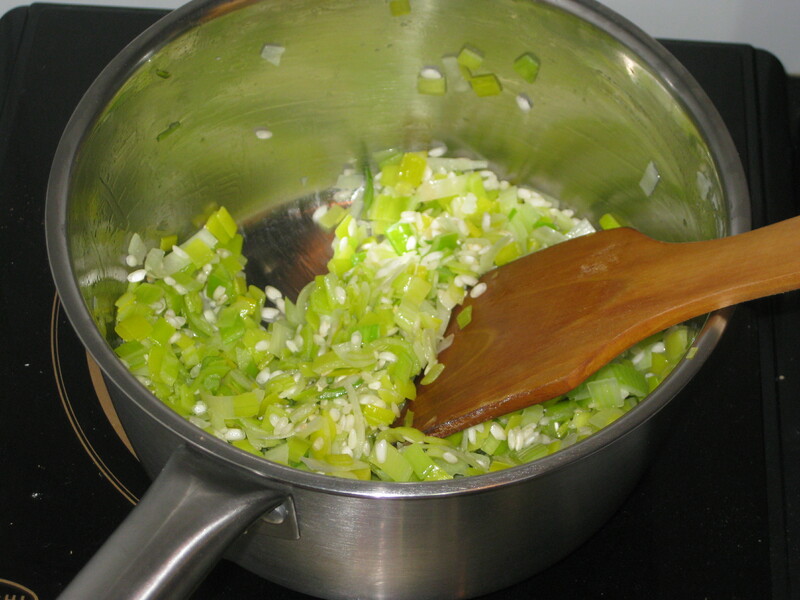 While the pepper is roasting, start on the parcels: heat the tablespoon of oil in a large pan and cook the leek for about 5 minutes until softened. 3. Add the rice and stir in quickly. 4. Pour in the wine and bring to the boil. 5. 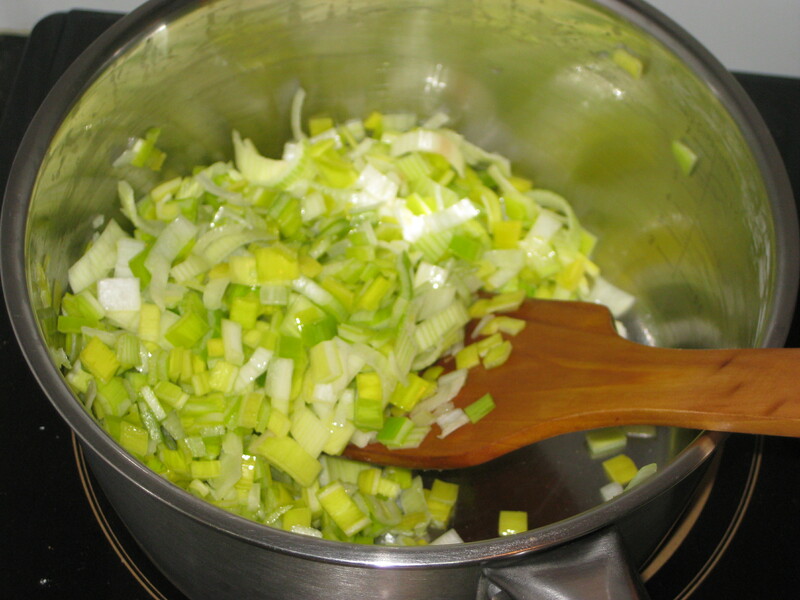 Add half of the stock, cover and simmer until all the liquid is absorbed. 6. 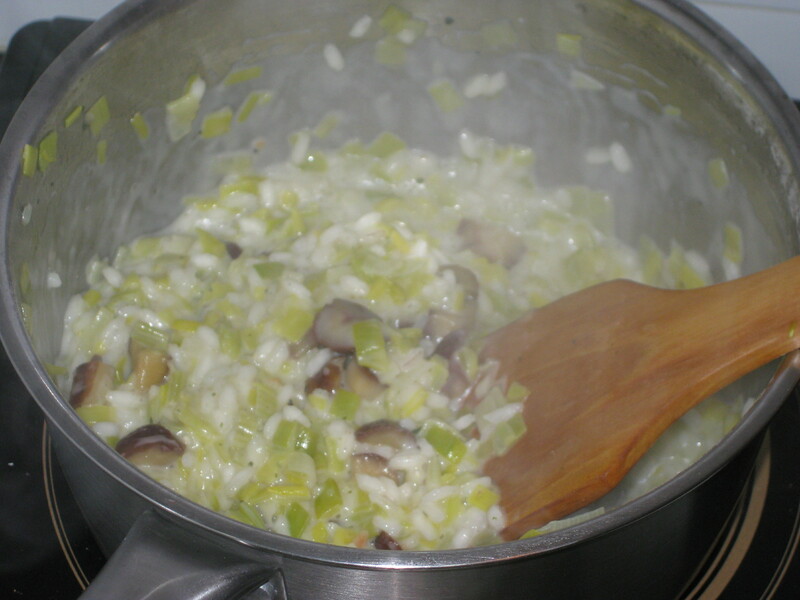 Add the remainder of the stock along with the chestnuts and simmer until all the liquid is absorbed again. 7. Stir through the cream and seasoning, and set aside. 8. 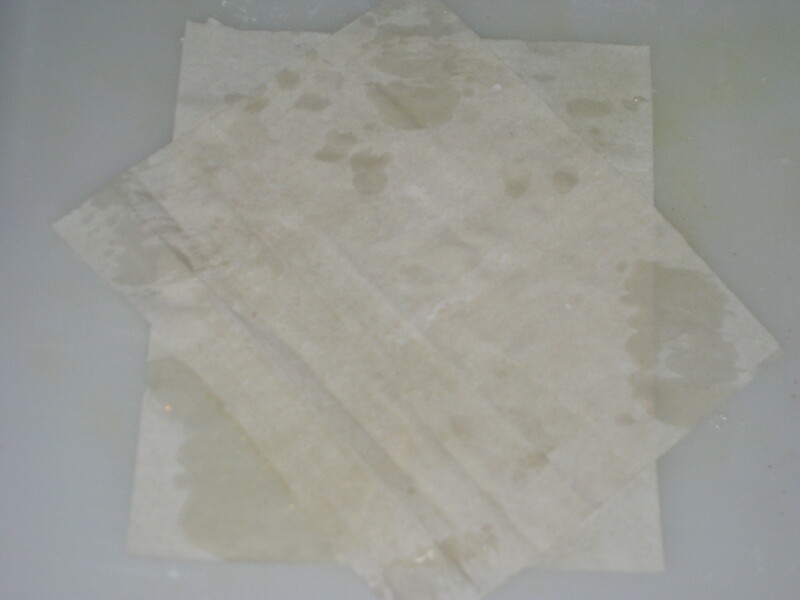 Work with 2 filo squares at a time: brush one with oil and place another on top on an angle to make a sort of star shape. 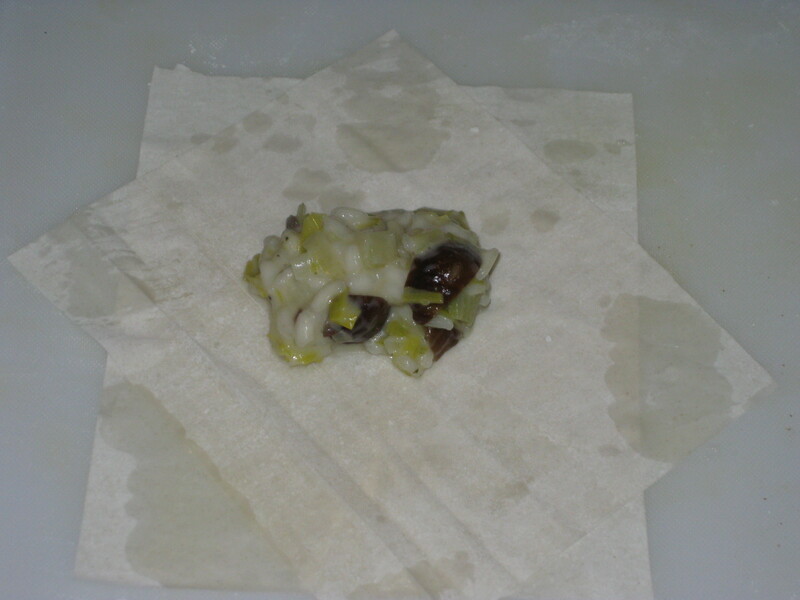 Brush the tips of that square with oil too. 9. 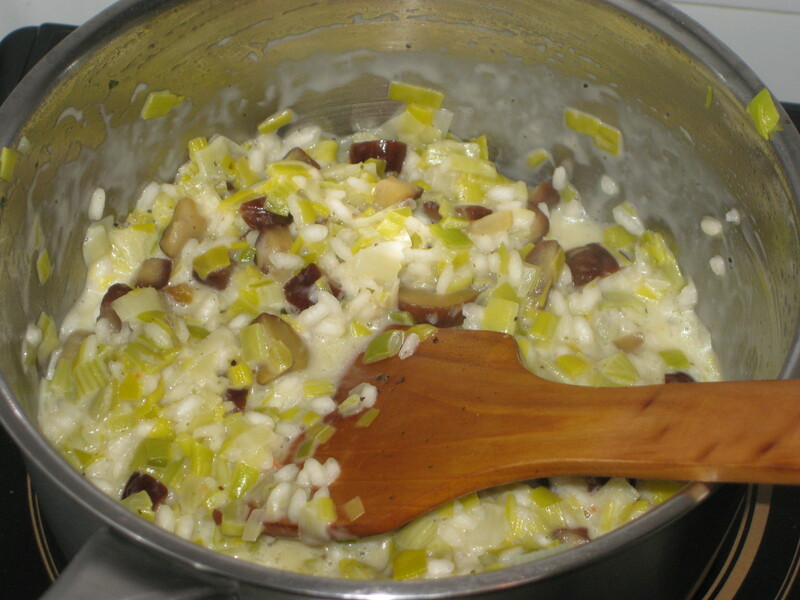 Place 1-2 teaspoons of the risotto mixture in the centre. 10. 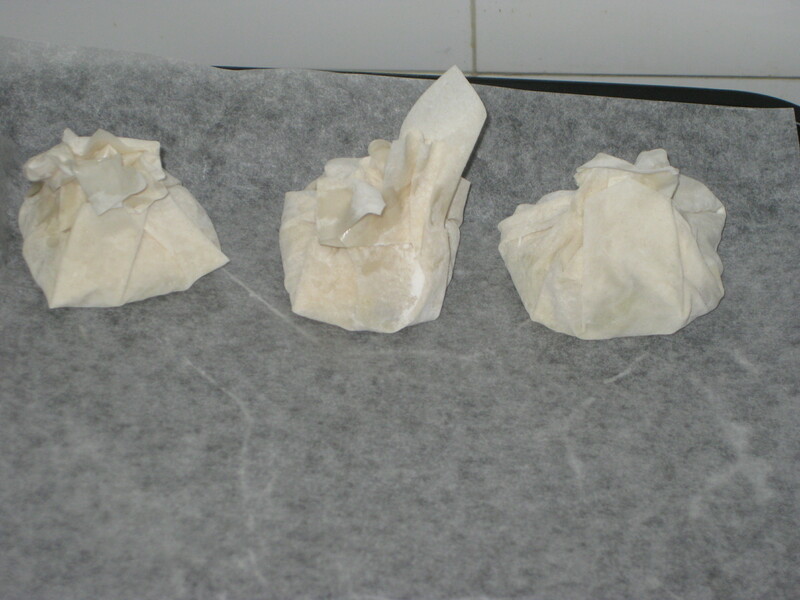 Scrunch up the corners to make a little pouch and place on a baking tray. 11. 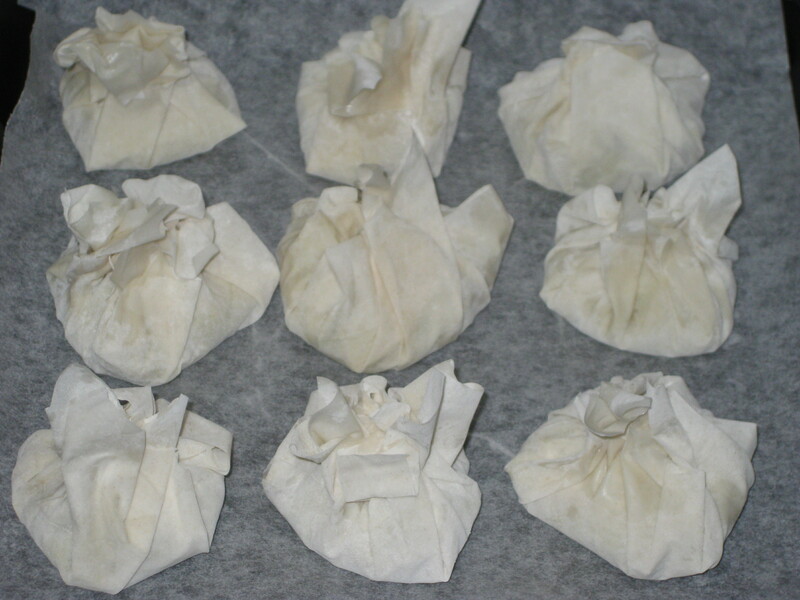 Brush all the parcels with oil once more before putting them in the oven. 12. 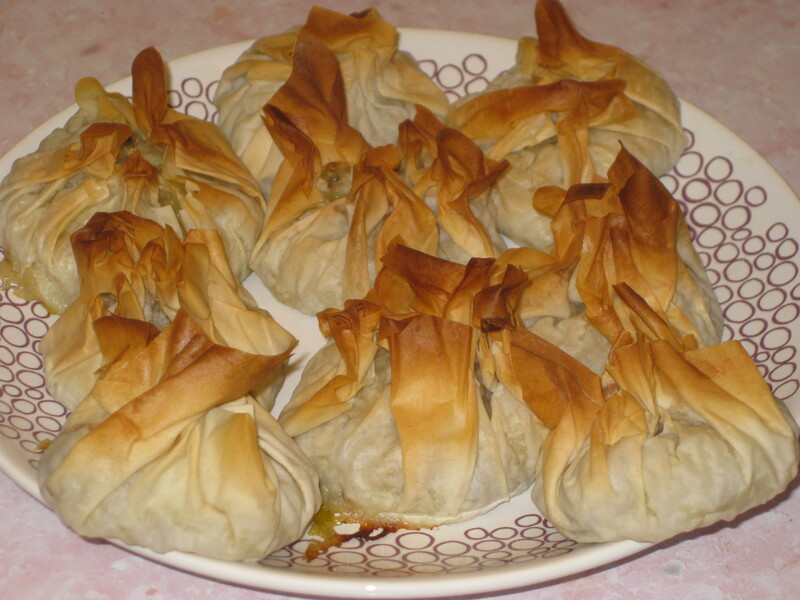 Cook for about 15 minutes until golden brown and crisp. 14. 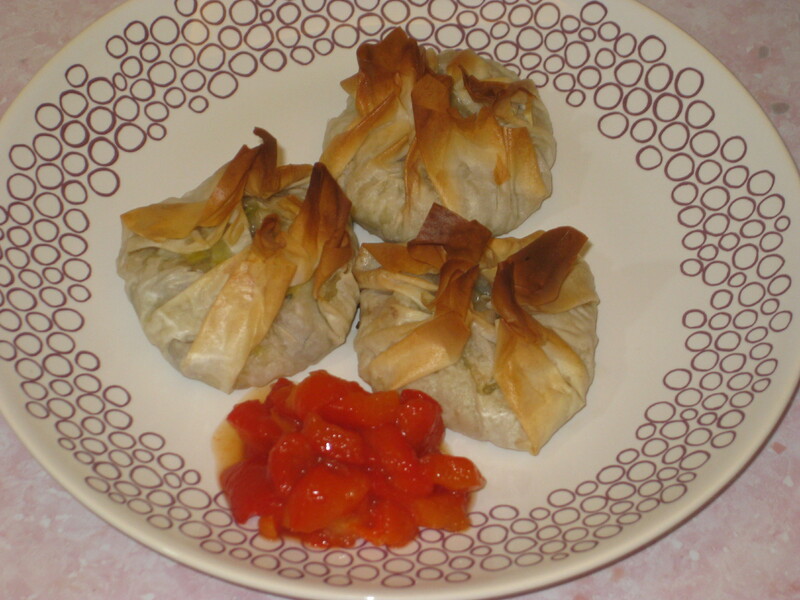 Serve 3 parcels per person along with a dollop of the relish. 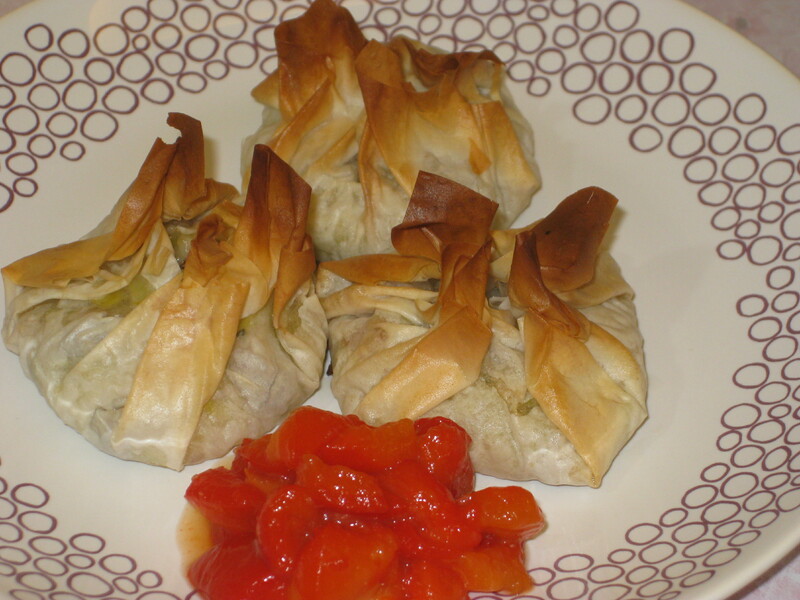 This entry was posted in Vegan Recipes and tagged filo pastry, leek and chestnut filo parcels, vegetarian starter. Bookmark the permalink.